The owner Ilias arranged a cot (mattress we brought ourselves) and a baby chair. The beach was a front of the accommodation even our children could walk alone there were no roads to cross. They were free to play on the grass at the front of our room. Umbrellas at the beach. So overall a great stay. The rooms are next to the beach. The beach is almost a private one since , unless you are a resident, the only way to access it is via the shore line. So you get to have the majestic clear waters of the the Mavrovouni beach on your own and the occasional sea turtle which makes the nest on the sand. Fantastic hospitality of the host (owner). Very smart construction of the bungalows where we lived - no need in conditioning during the day (despite it was extremely hot summer in Greece) and very comfortable temperature in the night. We esspecially enjoyed barbecue facility provided to us free of charge by the host - we went to Gythio seafood store, bought some fresh fish and grilled it there. Fantastic! Nice location 50 meters from the beach, which is one of the best beaches in Greece. Very close to the beach in a very beautiful garden. Cleanliness, proximity to the sand/gravel nice beach, great hosts, cool beach bar, secluded location. Need a car to travel around. We traveled with our two kids. The place has a sort of privacy, few hundred meters from the main road, and the place basically have their own beach. The rooms were very good and very close to the beach. 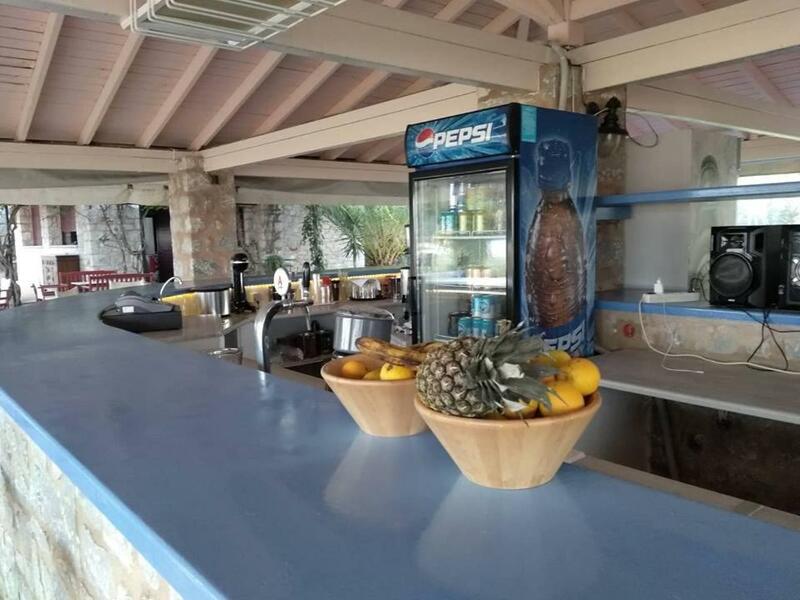 There is a beach bar on the property and they also serve good food. 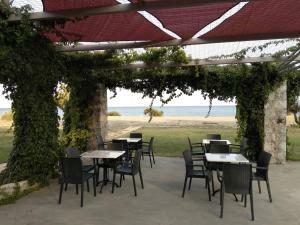 In the area there are a number of excellent restaurants and tavernas. Lock in a great price for Ktima Petalea – rated 9.1 by recent guests! 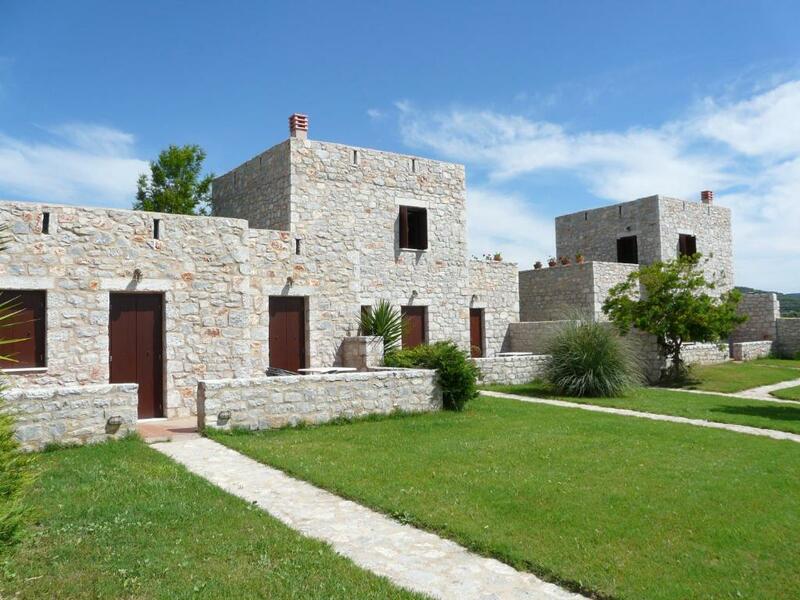 Providing sea views, Ktima Petalea in Gythio provides accommodations, a private beach area, free bikes, barbecue facilities, a garden and a terrace. Complimentary WiFi is featured. Each unit features with a patio offering mountain views, a flat-screen TV, a seating area, a well-fitted kitchenette and a private bathroom with shower. A toaster and fridge are also available, as well as a coffee machine. Sparta is 28 miles from the vacation home. 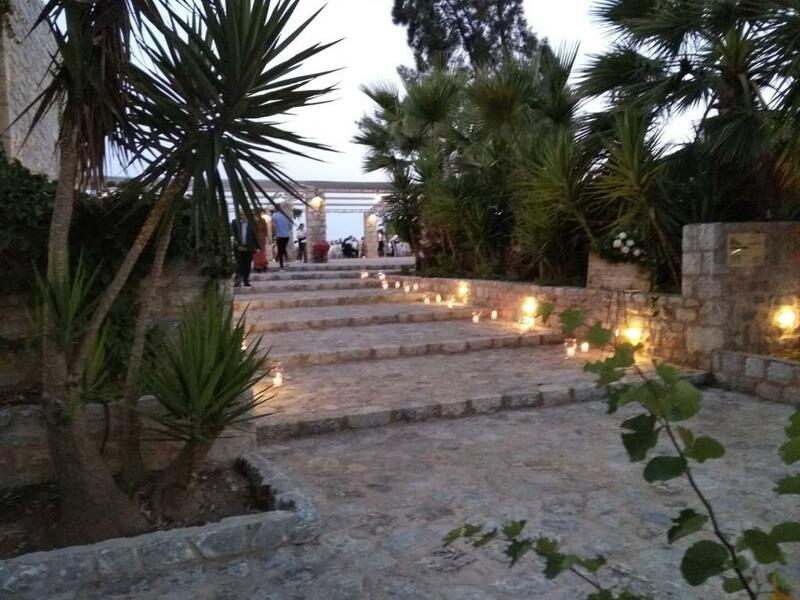 The nearest airport is Kithira Island National Alexandros Aristotelous Onassis Airport, 57 miles from the property. 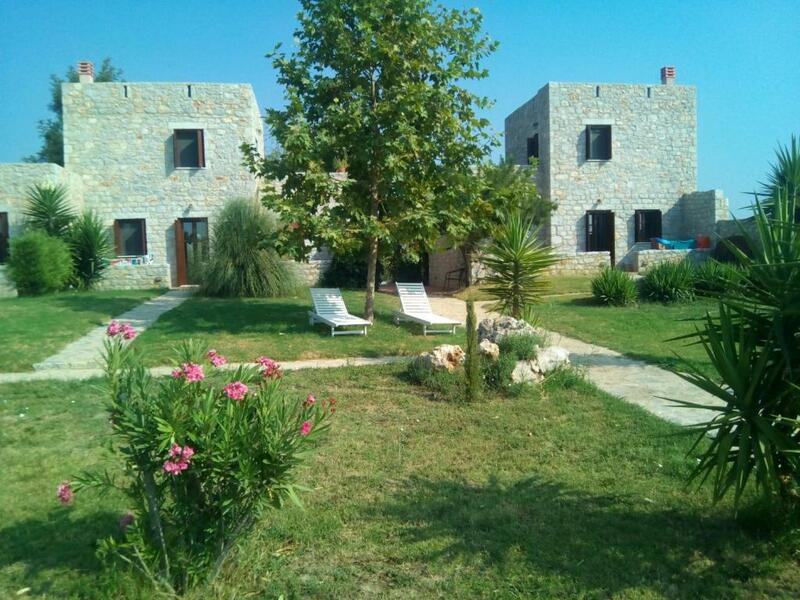 When would you like to stay at Ktima Petalea? This holiday home features a toaster, mini-bar and air conditioning. This holiday home has a seating area, mini-bar and tea/coffee maker. 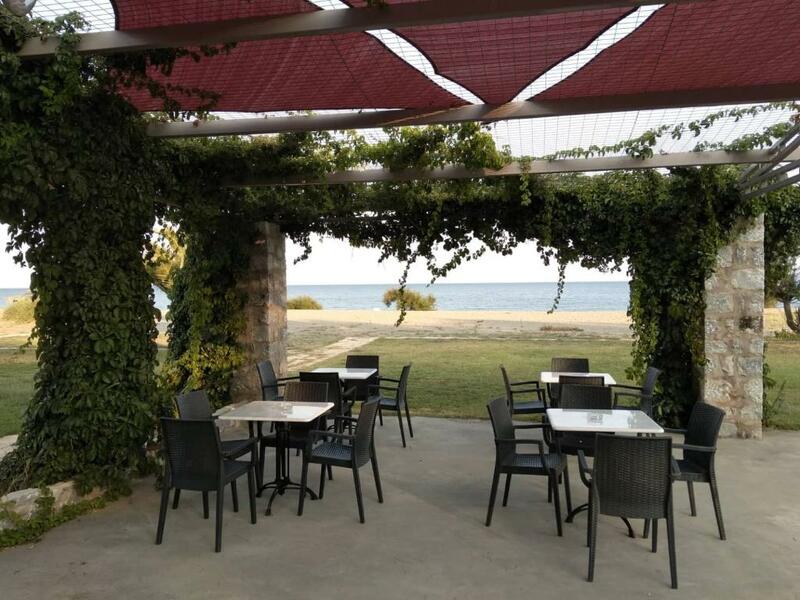 Situated on a vast 200-acre, beachfront property at the Western edge of Mavrovouni Beach, 7 km outside Gytheion in Southern Peloponnese, Ktima Petalea is the ideal destination for vacationers wishing to combine the perks of a holiday cottage with the attraction of a beach resort, and the allure of a nature recreation retreat. Each of the autonomous cottages comfortably sleeps between 2-4, has an equipped kitchenette (stove-top,lightly stocked fridge and pantry, kitchenware...), a dining area, desk and a bathroom. All cottages have their own private decks and parking area, while guests may grill on the outdoor BBQ, gather fresh herbs and vegetables from the kitchen garden and pick ripened fruit from the Orchard. For outdoor recreation lovers -on top of enjoying water sports in the ocean and strolling along the 5-km-long beach- guests may walk, run, cycle (complimentary bikes are available) and/ or horseback ride (for a fee) on the 2.5 km on-site track or hike the 800m marked trail leading to neighbouring Vathi Beach. Guests seeking R&R can use the free beach umbrellas and lounge chairs surf-side, as well as, enjoy drinks and snacks from the onsite cafe/ bar. House Rules Ktima Petalea takes special requests – add in the next step! Ktima Petalea accepts these cards and reserves the right to temporarily hold an amount prior to arrival. Kindly note that cleaning service and change of linens is provided every 3 days. Please inform Ktima Petalea of your expected arrival time in advance. You can use the Special Requests box when booking, or contact the property directly using the contact details in your confirmation. Very small kitchen, as accomodation for 3 adults and 1 child - very small place. It was very difficult to prepare any food. Fantastic place for a couple - romantic stay. Mosquitos and insects attacking the indoor - missing 'mosquito nets' - only on the window not enough (2 balcony windows need some opened protection from the insects). The wifi was not so great.